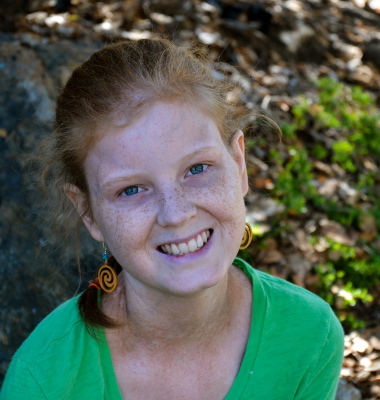 Emily was diagnosed with leukemia when she was two and a half years old, ultimately relapsing three times. She never defined herself by her disease. She rarely discussed it amongst her peers or used her condition as an excuse, instead she chose to focus her energy on her family, acting, playing board games, writing, reading, learning and questioning everything. Emily loved to act. It allowed her to step out of her own body, and all of the hardships that it had endured, and to become a completely different character. She was involved in the drama clubs at both Mater Christi School and Rice High School ( “THEATER BALLAD” ). Emily always looked on the bright side of things. She searched for the silver lining and rarely complained. When she found out the leukemia had returned for the 4th time, from that moment to the time when she died 46 hours later, she never cried once or lamented ”Why me?”. . Emily was wise way beyond her years. In the end, she was the one teaching us. "The advice I give you will still probably be in your head when you read this, but in case you have forgotten it, here is what I have to offer: When you’re sad, think about all of the good things you have in life and how lucky you are to have them. Always look on the bright side of things. Do what you enjoy. Don’t let other people influence your actions too much. Try your best at everything and most of all, be the good person I know you are. Never stop trying."